The Ghostly Rental first appeared in magazine form in Scribner’s Monthly for September 1876. It appeared alongside The Lass O’Lowrie’s by popular Anglo-American novelist Frances Hodgson Burnett, who was born in Manchester (UK) and was most famous for her novel Little Lord Fauntleroy. 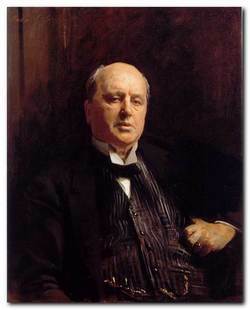 It is one of a number of ghost stories that James wrote throughout his career – from the early tale The Romance of Certain Old Clothes to the late masterpiece The Turn of the Screw. 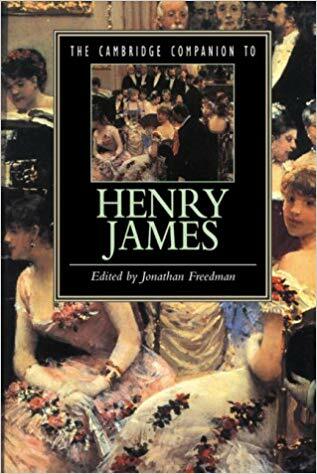 Very unusually for Henry James, this story is closer to the form and content of a folk story than a tale in the realistic mode which was the usual genre of his choice. In this sense it is not unlike the tale Benvolio which he composed around the same time. Many of the elements of a folk tale are present: an unspecified location and date; a mysterious old house hidden away down an unfrequented country lane; a wizened old man exhibiting bizarre behaviour; neighbours who shun the location in apparent fear; a setting in a cemetary; a back story of violence resulting in death and a ghost – all revealed by an old crone; and a conclusion of death, fire, and destruction. 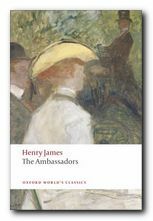 There is no reason why James shouldn’t indulge himself in this literary form – and there are distinct echoes of Nathaniel Hawthorne and Herman Melville in his treatment of the subject. But it can hardly be held up as a success in his repertoire of tale telling. In terms of the traditional ghost story, the most interesting feature of this tale is that whilst it combines all the elements of ‘mystery and imagination’ listed above – it doesn’t actually contain a ghost at all. Captain Diamond has been hoodwinked by his daughter. She has been renting the house from him by impersonating a ghost – whose existence in his mind is a reflection of the guilt he feels for having (as he believes) killed his own daughter. No justification or explanation is offered for her actions. She says that her father has forgiven her so long as he thought she was dead, and admits that her stratagem in tricking him has been ‘folly’. She also sees an apparition of her father shortly before he dies. But none of these elements contribute to any dramatic coherence in the tale. An un-named narrator recalls his earlier years as a student of theology. Waling in the countryside one late winter afternoon he takes a shhort cut on his way back home at sunset and comes across a large colonial house in a neglected spot. He is so impressed with its mysterious appearance and its gloomy ambiance that he decides it must be haunted. Further on his journey back home he enquires at another house about who owns the ‘haunted’ house. A woman tells him that nobody every comes into or goes out of the house. A week later he goes back and sees a little old man in a voluminous military cloak let himself into the property, making ceremonious bows as he does so..The narrator looks in through a window to see the old man inside. The old man exits from the house in a similarly curious manner. Later in the spring the narrator meets the old man in a cemetary. The old man’s face is a charicature of fierceness, yet his manner is gentle and mild. They discuss the existence of ghosts, and the old soldier reveals that he has seen one. 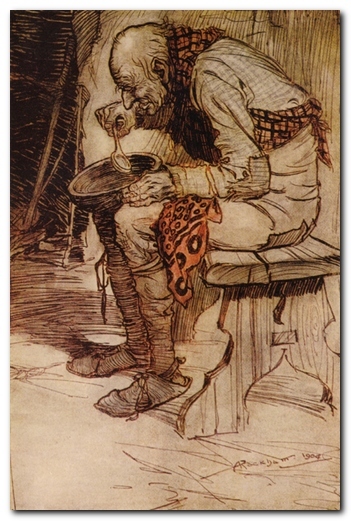 An old woman tells the narrator the back history of the little old soldier, whose name is ‘Captain Diamond’. He killed his own daughter by cursing her for the crime of receiving a young man into her home. And having revealed his secret to a woman admirer, she too died upon telling someone else. The full story is then revealed. On his cursing her, the daughter dies, but then returns from the dead as ghost that rents the house from the Captain. When the narrator next meets him, the Captain confesses his crime. The narrator wishes to enter the house – and does so alone. There he encounters the ghost at the head of a staircase. Some months later an elderly negress visits the narrator to say that her master the Captain is very ill. The Captain asks the narrator to collect the rent on his behalf. When the narrator visits the house, the ghost is revealed as a beautiful young woman – the Captain’s daughter, who is still alive. She has been deceiving her father – and at that precise moment she sees his ghost. When the narrator returns to the Captain’s house, he has died. That night the old house catches fire, and by the morning is a ruin. 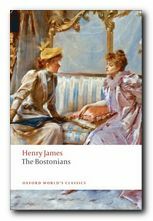 The Bostonians (1886) is a novel about the early feminist movement. The heroine Verena Tarrant is an ‘inspirational speaker’ who is taken under the wing of Olive Chancellor, a man-hating suffragette and radical feminist. Trying to pull her in the opposite direction is Basil Ransom, a vigorous young man to whom Verena becomes more and more attracted. The dramatic contest to possess her is played out with some witty and often rather sardonic touches, and as usual James keeps the reader guessing about the outcome until the very last page. 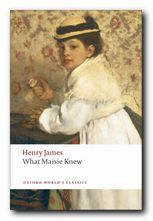 What Masie Knew (1897) A young girl is caught between parents who are in the middle of personal conflict, adultery, and divorce. Can she survive without becoming corrupted? It’s touch and go – and not made easier for the reader by the attentions of an older man who decides to ‘look after’ her. This comes from the beginning of James’s ‘Late Phase’, so be prepared for longer and longer sentences. 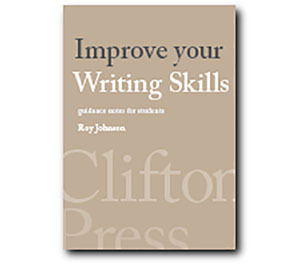 In fact it’s said that whilst composing this novel, James switched from writing longhand to using dictation – and it shows if you look carefully enough – part way through the book.